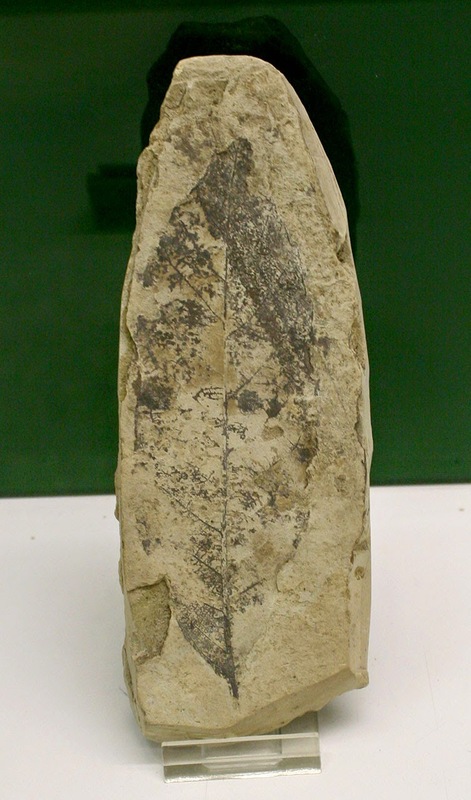 Here is a picture of a Castanea kubinyi plant leaf fossil at the Museo di Paleontologia at Sapienza University of Rome Italy. Plants like this existed at the time of the Miocene Epoch of the Neogene Period. The fossil was found in S. Angelo, Senigaglia, Marche Italy.